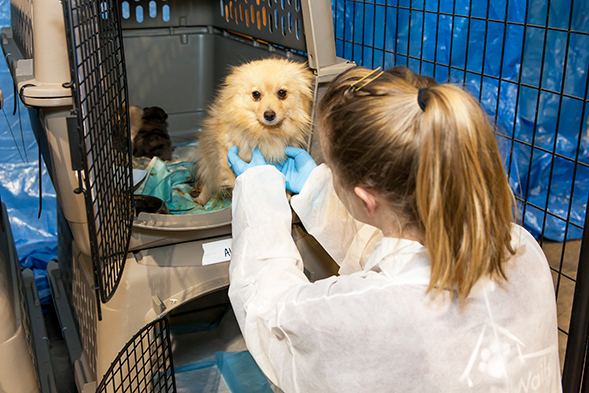 Exciting news: After weeks of providing medical care and behavioral enrichment to dogs rescued from an Alabama puppy mill, the ASPCA has begun transporting the dogs to various animal welfare agencies in 11 states, where they will be made ready for adoption. 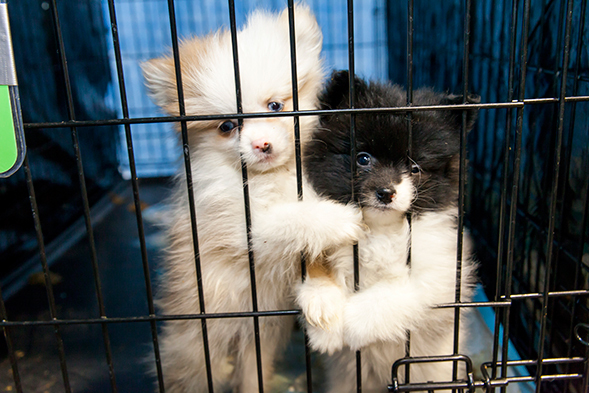 More than 130 dogs were seized from the puppy mill, including Chihuahuas, Chows and Pomeranians ranging in age from 2 months to 5 years. The dogs were living in filthy, deplorable conditions, with many suffering from malnourishment and other medical issues. In addition to dogs from the Alabama puppy mill, some of the above groups will also receive dogs the ASPCA rescued from a dog fighting operation in South Carolina and from an Arkansas dog sanctuary earlier this year. Four of the dogs are in need of behavioral rehabilitation for extreme fear and under-socialization, and will receive treatment at the ASPCA Behavioral Rehabilitation Center in Madison, New Jersey. The puppy mill seizure was the result of an investigation that began after local authorities received numerous complaints about conditions at the breeding facility. Both owners of the facility were charged with animal cruelty. Looking to adopt but don't live in one of these states? Visit aspca.org/adopt to find dogs near you in need of a home!